Sholom Secunda (4 September [O.S. 23 August] 1894, Alexandria, Kherson Governorate, Russian Empire – 13 June 1974, New York) was an American composer of Ukrainian-Jewish descent. He was born in 1894 as Shloyme Sekunda in Aleksandria city, Kherson Governorate, Russian Empire (now Ukraine) to the family of Abraham Secunda and Anna Nedobeika. In 1897 the family moved to the Black Sea port city of Mykolaiv, where they opened an iron bed factory. In 1907, like numerous other Jews of the Russian Empire (see History of the Jews in Russia), he emigrated to United States with his family after a series of pogroms that rocked the region in 1905. In January 1908 the family emigrated to New York as steerage passengers on board the SS Carmania and were inspected and briefly detained on Ellis Island. 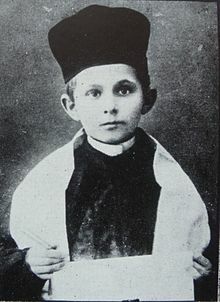 In New York City (they first lived on East 127th Street where his father had settled before sending for his wife and children), young Sholom became a noted child khazn (cantor). When his voice changed he studied music and taught piano, then worked in comedy theater in the chorus until his song "Amerike" was accepted by Jennie Goldstein, who sang it with great success in Kornblum's Unzere kinder (Our Children). In 1913, after studying at the Institute for Musical Arts in New York City (predecessor to the Juilliard School), he worked at the Odeon Theater as chorist and composer; 1914 saw the premier of "Yoysher, music by Sholom Secunda and Solmon Shmulevitsh." He began working in "Lyric theater" as choir director, then as director and orchestrator of the old "historic" operetta repertoire; he studied orchestration for a year under Ernest Bloch. In 1919-1920 he earned his first solo composer's credits with S. H. Kon's The Rabbi's Daughter and Free Slaves. He worked in Philadelphia's Metropolitan Opera House with director Boris Thomashevsky; in 1921-22 he was director and composer at Clara Young's Liberty Theater. He composed for Di Yidishe Shikse by Anshl Shor (1927) and A nakht fun libe (A Night of Love) by Israel Rosenberg. An exhaustive list of his many works can be found in the Leksikon fun Yidishn Teater. In 1932 he wrote the melody for the popular song "Bay mir bistu sheyn" on the lyrics of Jacob Jacobs for the musical performed at the Parkway Theatre in Brooklyn, which later became a major hit for the Andrews Sisters. Together with Aaron Zeitlin he wrote the famous Yiddish song "Dos kelbl (The Calf)" (also known as "Donna Donna") which was covered by many musicians, including Donovan and Joan Baez. Along with Abraham Ellstein, Joseph Rumshinsky, and Alexander Olshanetsky, he was one of the "big four" composers of his era in New York City's Second Avenue National Theater (Yiddish theatre) scene in the Yiddish Theater District. Secunda also worked at another theater founded by Maurice Schwartz (an emigrant from the Russian Empire), Yiddishe Art Theater, earning $75/week for conducting an orchestra. In 1938 he gave an interview to the Courier-Post about the hit song, Bei Mir Bistu Shein. Secunda married the former Betty Aimer, and they had two sons, Sheldon and Eugene. He died on June 13, 1974 in New York City, and was buried in Montefiore Cemetery in Springfield Gardens, Queens. ^ a b Freeman, William (June 14, 1974). "Sholom Seconda Is Dead; Composer, Song Writer". New York Times. p. 36. Retrieved 23 September 2016. ^ Program notes  (Music of Los Angeles Jewish Composers Aminadav Aloni, Michael Isaacson, Robert Strassburg and Hidden Treasures from Prokofiev, Krejn, Grzegorz Fitelberg and Abe Ellstein), Valley Beth Shalom, November 29, 2005. Accessed online 13 November 2006. Shlimazl (Shlyoma Sekunda, history of the famous song) on YouTube (in Russian) Let be blessed his memory. Interview of Sholom Secunda to the Camden Courier, January 26, 1938. This page was last edited on 2 February 2019, at 20:35 (UTC).